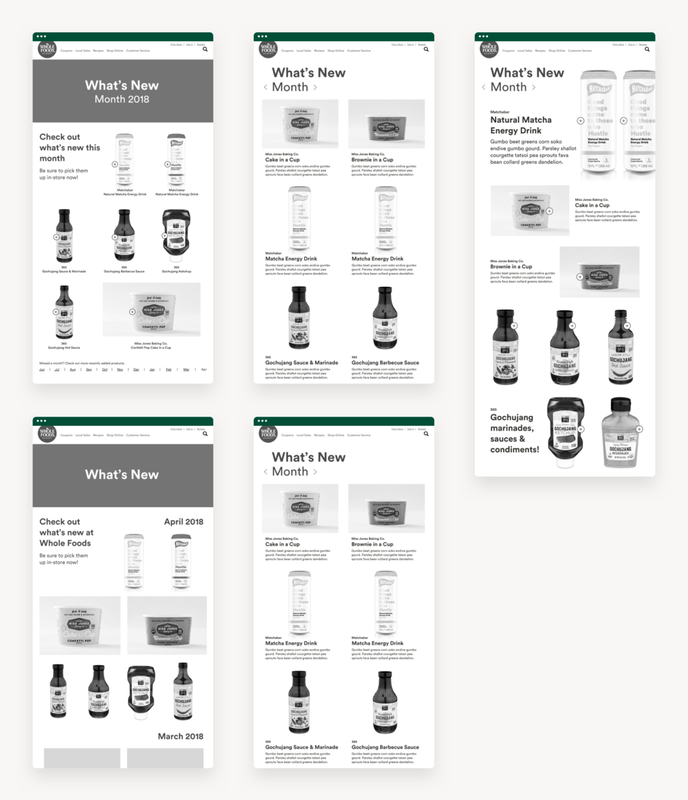 As part of my first project at Whole Foods, I helped create a landing page for the What’s New content. This page shows new products in store which are organized by month. This is a special part of the site and we really wanted to highlight the concept of discovering new products just like you would in-store. My goal was to make it feel like a magazine with a month-to-month navigator and always displaying products with their product shot. What’s New allows us to highlight special vendors and feature their product in the header banner every month.